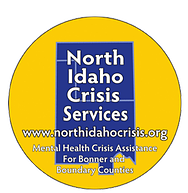 Bonner Partners In Care Clinic provides health care to residents of Bonner County and adjacent communities who have no medical insurance and meet the Clinic’s eligibility criteria. The Clinic, which opened for patients in July 2003, is the result of dedicated community members with a vision, many benefactors and our most important asset: our volunteers who make our missions possible. Physicians, Physician Assistants, nurses and clerical volunteers staff the clinic two nights a week to provide medical services. Numerous other volunteers help with prescription assistance, bookkeeping, clerical duties and supply management. Many of our board members are also volunteer at the clinic as well as work to assure the clinic is run professionally and economically. All people will have access to basic health care regardless of ability to pay. These partners contribute significantly to the operations of the clinic by providing services at little or no charge. These services directly benefit our patients and assist the clinic in keeping costs at a level our patients can afford. Many of the specialists in the community provide consultations for more complex issues at a significantly reduced rate. Bonner Partners in Care Clinic is supported by the local community and foundation grants. Area organizations such as the Community Assistance League, Board of Realtors, Kiwanis, Wells Fargo, Avista, The Ambrosiani Foundation, Schweitzer Mountain Resort and Ivano’s Restaurant have supported us each year with generous donations. Write us a review on greatnonprofits.org!